In a world turned upside down – the only right may be love. 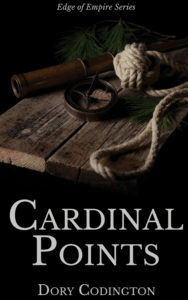 Cardinal Points is a fictional, historical adventure that takes place in Boston during and just after the ‘Boston Tea Party.” We recall this event as the great anti-tax revolt that started the American Revolution, and in myth it was just that. But I wondered, what did the Intolerable Acts mean to those who bore the brunt of Parliament’s Anger against Boston? Those left behind while John Hancock, Sam Adams, and Paul Revere left the town to escape British occupation and live elsewhere? I thought about that while giving tours for Boston National Historic Park on the Freedom Trail, which I did for two summers. 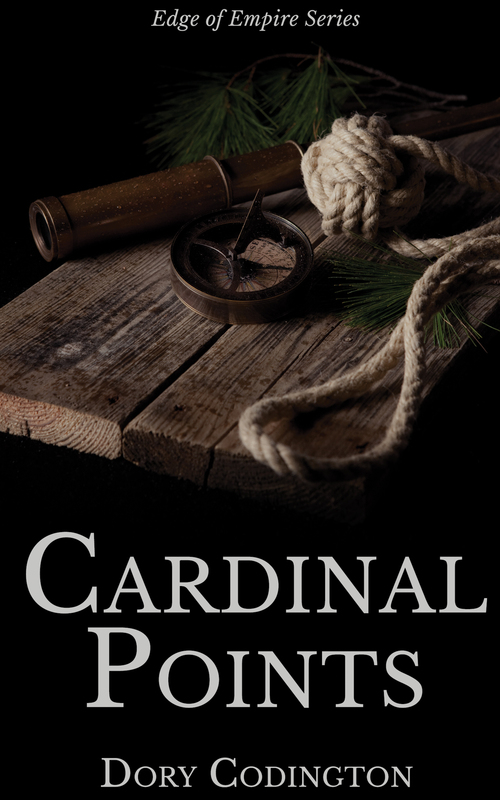 And I created Oona and Jason, and the novel Cardinal Points to let their story explain what it might have been like to live in Boston at that time. For instance, did you know that no printing presses were destroyed by the occupying army? I didn’t want to come out and tell you, so I let Oona experience the surprise at that, or that no one wanted to serve as a judge? Parliament had ruled that all judges were to be appointed by the King or his representative, and suddenly no one volunteered to sit. Turned out the King was easier to ignore than the neighbors with their hot pot of tar and the bucket of feathers. I won’t give away their romance or the many plot twists, but it does get pretty involved and occasionally steamy. Finally after numerous Intolerable situations, Oona and Jason are reunited and leave Boston together for points north. Jason loves the sea and the freedom it brings. As a merchant seaman he understands that it is skill and knowledge, not birth, that make a man’s worth. He arrives in Boston town on a gray December day, just as the mob is preparing to throw crates of tea worth a king’s fortune, into the Harbor. Swept up in the exciting rhetoric he decides to follow the crowd and help. But first he must don the disguise of the fiercest warrior. Oona has her own ideas and questions on the nature of freedom. For over nine years, she has been a servant in a grand merchant house. Now, her long indenture nears its end. At a tavern near the tea meetings, she helps men with feathers, soot and bootblack – the disguise of the night. They tease and laugh, as men do before battle, knowing they are about to commit treason. There is a newcomer in the group – a man Oona recognizes when she sticks a feather into the wool of his black cap and draws black lines on his face. He looks up and smiles at the lovely bar maid, lifting her in his arms for a good-luck kiss. The men howl. Oona barely hears them. Jason. Those eyes are as she remembered them. Glowing wolf’s eyes that cheered her, warmed her and made her brave during lonely times in a strange land. Grown strong and independent, he has returned, as she hoped he would. But the events of that cold, damp night begin the unraveling of a mighty empire and set the world in motion in ways no one could foresee. What will they mean for Oona and Jason? Beside Turning Water takes place within the timeline of Cardinal Points, ending just after the opening scene of Fate and Fair Winds. The story takes place in the countryside outside the occupied Town of Boston, and explores the changes that took place as the region was confronted with soldiers quartered at Cambridge and the capital occupied by an enemy that used to be a friend and protector. Nina Bigelow is the proprietor and brewer at the Wheel and Hammer a small but busy inn on the banks of the Charles River at Newton Lower Falls. Nina is content with her life, and resists change, that over which she has control, and those changes that are happening in the world around her. Those changes are inescapable, no matter her choice, and Nina learns to forgive the past and embrace the future. Among the soldiers who have discovered the fresh grass, good food and fine ale at the Wheel and Hammer, is Alex Peele, recently wounded at Bunker Hill and now useful as a courier and spy for George Washington. 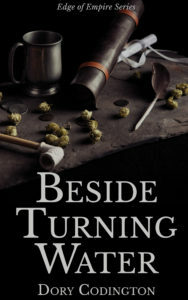 Alex has no time for romance, or even friendship, and he especially has no interest in interfering in the life of the young brewer, but he cannot help feeling responsible for her, and sets out to show her how wonderful she is. In spite of his best intentions, his concern turns into something much deeper. Just as the war shift south from Boston to New York, Alex comes to accept his own limitations and desires. 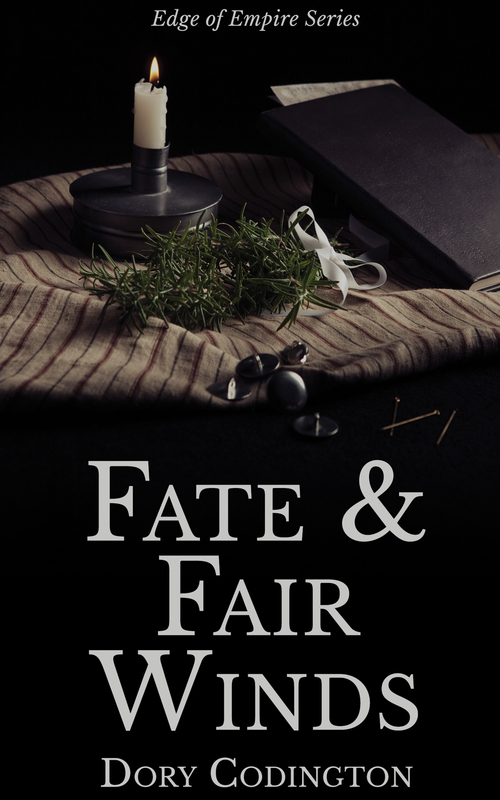 Fate and Fair Winds begins only days after the Continental Congress signed the Declaration of Independence, Fate and Fair Winds is the story of a Rebecca, John and the British occupation of Philadelphia. Where Cardinal Points showed the near total lock-down of Boston, mostly an effort by the British commanders to punish those who dumped the tea and force residents to flee, and Beside Turning Water showed the effects of that lock-down on the surrounding countryside, the Philadelphia in Fate and Fair Winds, is a city being enjoyed by the occupying army and the remaining residents alike. When the British Army defeated Washington’s Continentals at Brandywine, September 11, 1777, they moved to occupy the nation’s capital of nearby Philadelphia. Congress had already fled, as had many patriots, leaving loyalists to enjoy the company of the British soldiers. It was a winter marked by parties and happy gatherings, while only twentyone miles away the Continental Army suffered through winter at Valley Forge. I wondered what it would be like to have the world of a patriotic American girl and a soldier in His Majesty’s Regiments meet during this year. And what if they had met before under very different circumstances – if the two had fallen into a whirlwind of pleasure that led to love – fully knowing they would never meet again. The situation was too wonderful not to explore as a romance novel, Fate and Fair Winds is that tale. Rebecca sat down at the river to clear her head. Lovely ships, their sails and lines speaking of faraway places, drew her in and let her forget how angry she was. She opened her book and started sketching the graceful Queen Bess. She was a three masted merchantman with a fantastic figurehead of a beautiful red headed mermaid. As she finished, a shadow fell over her work. She looked up to see a tall man with ice blue eyes staring over her shoulder. He offered to buy her sketch, and to take her to lunch. Might he also offer something else? A way to captain her own fate – if only in a small private way? John FitzSimmon had been touring America at his leisure. He found it a remarkable place, ripe with promise and beauty. On his way from the southern ports of Savannah and Charleston to his regiment and assignment with the British Army in New York, he stopped at Philadelphia to rendezvous with his brother, and their ship. The sketch of the Bess was good, but the soft blond hair escaping the demure white cap – the gray-blue eyes searching his own from the clear, earnest face were beautiful. Over the next days, this Columbia will challenge John to help her attain a tiny slice of independence, to give her one night of passion before she is forced to warm a drunken widower’s bed. Ready to face life apart, war and circumstance bring John and Rebecca together under the same roof, but as enemies. Will it be possible for a British lieutenant to make a safe home for an American patriot when the road is blocked from all sides?